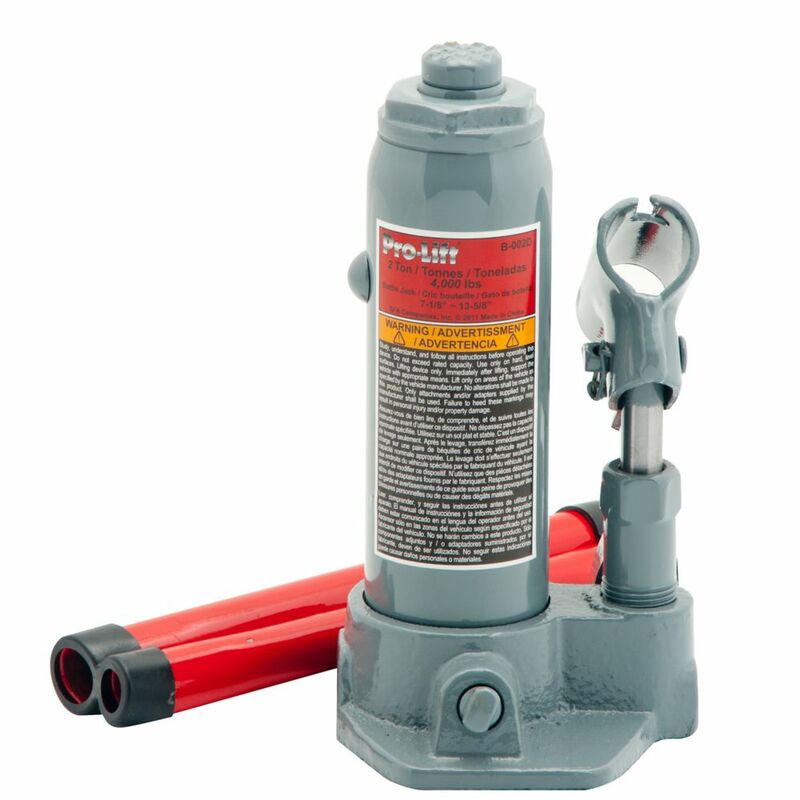 2 Ton Bottle Jack This versatile bottle jack is a great addition to any garage and home. The adjustable saddle sets the jack into the perfect position before each lift. The patented design was built with speed and safety in mind. 2 Ton Bottle Jack is rated 3.7 out of 5 by 3. Rated 4 out of 5 by Rich from Worked just fine. I wish I had bought the... Worked just fine. I wish I had bought the 4 ton. For just a few bucks more it would have been worth it. Rated 4 out of 5 by Gaile from Just what I needed. Good price too.... Just what I needed. Good price too.